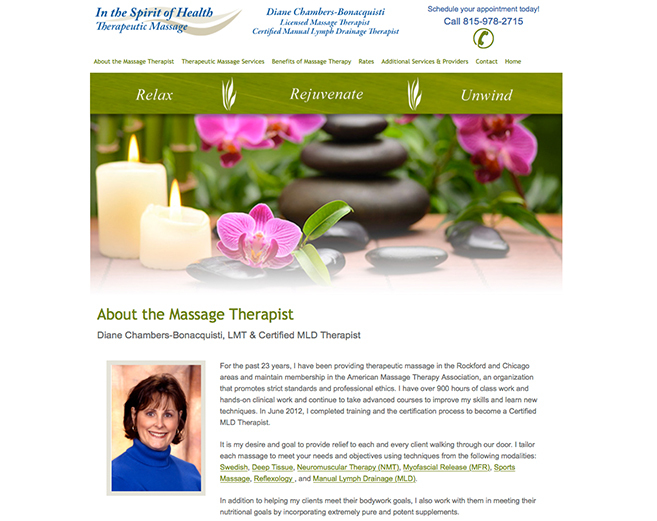 Massage Therapist’s existing website was redesigned to a mobile friendly website. The website resizes for a more user friendly experience for different viewing screen sizes, monitor, tablet and smart phones. Website features types of massage therapy and benefits, auto call button and contact form with directions to the business. Need help with a website designed specifically for your business? Call PS Designs @ 815-399-0289.